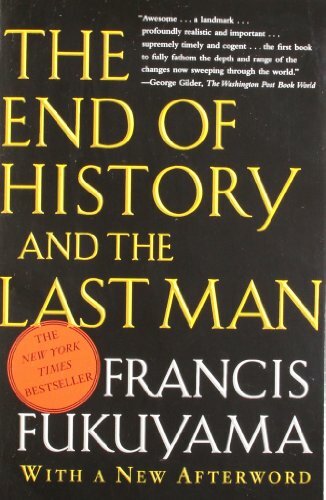 Shortly after the end of the Cold War, Francis Fukuyama famously predicted in 1992 the progression of human history as a struggle between ideologies had largely come to an end. Fukuyama suggested warfare between states in future could now be avoided, as humankind had reached a point where ideologies no longer diverged to create moments where military conflict was seen as necessary. Since then, it has become apparent this belief was a false assertion; the international system is now considered to be in an era of persistent conflict, where warfare remains as valid an option for nations today as much as it has throughout history. Warfare presents itself in many forms, yet remains largely defined by the application of political will through the use of military forces specifically tailored to apply state-sponsored violence. These forces are predominantly conventional in character in that they tend to conform to a force designed to operate decisively against peer adversaries as well as fight by convention. Where a practice or new concept in warfare gives rise to an idea or capability that is not standard or customary, military strategists tend to define these as uncommon or unconventional forms of warfare. This type of warfare is characterised as an asymmetry or a mis-match when compared to conventional forces. Throughout the 20th century, countries such as the United States and Australia committed military forces to some of the largest conventional wars in history, to include the First and Second World Wars and the Korean War. Since the end of hostilities in Korea in 1953, however, the predominance of military operations conducted by these countries has been primarily in response to unconventional threats, to include guerrilla insurgencies and terrorist attacks. This trend is likely to continue into the foreseeable future, as nation states to deal with old, new, and multi-dimensional forms of warfare. Despite the modern reality of what Russian theorist Makhmut Gareev describes as multi-variant war, planning and force design in most western military forces appears to be overwhelmingly focused on protecting vital national interests in the context of great power competition. Force structure is therefore predominantly geared towards being able to fight in a medium or high intensity conventional conflict, with less attention and balance to the need to be able to also fight unconventionally. Unconventional warfare has been a constant feature of history. Max Boot, an authority on the history of war, has gone so far as to suggest conventional warfare itself is a recent invention and unconventional warfare in fact pre-dates it. When unable to conventionally defeat their opponents on the battlefield, a diminishing force often deliberately chooses guerrilla and terror tactics as an asymmetry to exploit against a superior conventional capability. 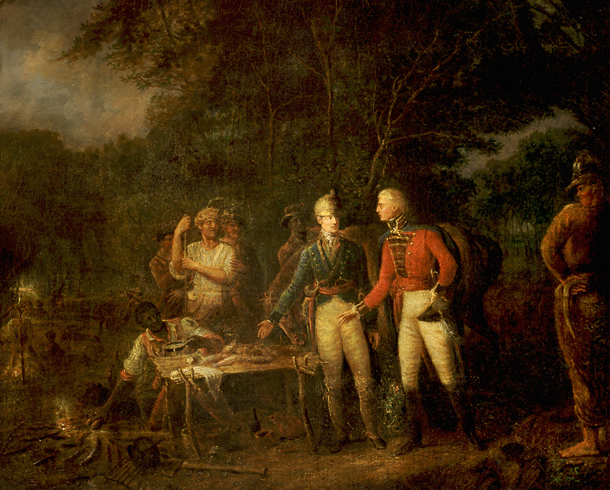 Francis Marion, a military officer who served in the American Revolutionary War, is a historical example. Acting mostly when the Continental Army was weak, he was a persistent adversary of the British in their occupation of South Carolina, using irregular and unconventional methods of warfare. Marion is considered one of the fathers of guerrilla warfare and is credited in the lineage of the United States Army Rangers and other American Special Forces. Warfare of this century, however, is different from the wars fought in the recent past. One of the key distinctions is the origin and composition of those able to effectively monopolise violence and engage in warfare. The recent history of warfare has been dominated by centralised political units including city-states, nation-states, kingdoms, and empires. Throughout the 20th century, this paradigm was effectively codified by the most significant conflicts, to include the First and Second World Wars, the Arab-Israeli Wars, and the Korean War. Notwithstanding these defining conflicts, other small wars occurred towards the end of the post-colonial era in concert with the rise of nationalist separatist movements and the coming of the Cold War. This resulted in a pervasive series of confrontations, unconventional in nature but predominant in sheer number throughout the latter half of last century. A blurring of conventional and unconventional tactics into single conflicts also exacerbated the character and prevalence of warfare; previously distinct modes of violence such as terrorism, typically classified as an act in war, were now seen as an act of war giving license to non-state groups to literally declare war on nations, further evolving what was previously seen as an enterprise exclusively between states. Hizbollah, the Lebanese-based Shia political-terrorist group have demonstrated throughout the past 20 years their ability to operate both conventionally and unconventionally against the nation-state of Israel. The trend in both the blending of conventional and unconventional warfare, as well as the frequency of unconventional war, can be explained in part by the changing nature of society, with ever increasing demands for access to mass-media, near real-time information, and the opportunities that come with globalisation. The transformation of non-state actors in armed conflict, who themselves are not bound by international law, has resulted in an erosion on the constraints of warfare, most recently demonstrated by groups such as the Islamic State. What this blending could mean is future warfare itself becoming increasingly bloody and protracted due to the relative advantage that comes through non-attribution by the simple act of not actually declaring war. Nation-states such as Russia have become adept at employing non-state proxies to fight their wars in lieu of their conventional forces in order to retain a competitive advantage. This represents a tectonic shift in modern warfare, as the price and utility of conventional forces in either blended warfare or in an unconventional warfare scenario becomes more potentially more prohibitive except for the rarest of existential circumstances. What is the Right Balance Between Conventional and Unconventional Warfare Capabilities? Pre-eminence of conventional forces in military strategy is well understood and is reflected throughout defence policy and planning. Unconventional forces are not as equally well articulated; policies, resources, and mandates barely exist inside and outside the defence portfolio and are often at odds with stated force structure determinants. The result is that these capabilities are not easily identifiable. 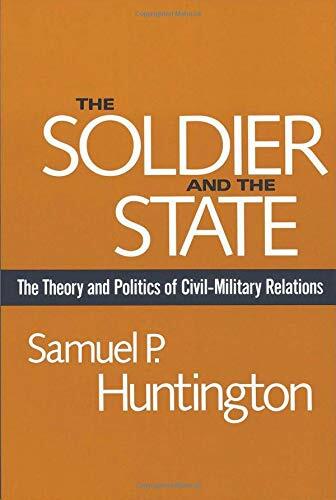 Unconventional warfare, by its nature, is not politically neutral as it is often purposely designed to affect the political state of a target nation rather than its military power. This use of military force is seen by some as a threat to subordination of the military to the state and its elected leadership) and is seen by many as anathema to their concept of military capability which is primarily focused on the destruction of opposing enemy military forces. Up until the 1990s, this was a feature of emerging military capabilities to include space, cyber, and special operations. Unconventional warfare is difficult to define relative to conventional war. This makes determining the types of capabilities required to fight unconventionally challenging. One of the problems in understanding the value of unconventional warfare is just how to define success. What are the required characteristics of a successful campaign and other factors that contribute to a successful mission? How much leverage do unconventional campaigns have in determining possible outcomes? The answers to these questions are critical to assisting policymakers and planners assess when, whether, and how unconventional warfare campaigns can contribute to the achievement of national security objectives. The answer to these questions could in part be determined by expanding the value of unconventional warfare beyond purely military factors. The development and embrace of a planning tool specific to unconventional warfare campaigns, which often oscillate inside and outside declared military conflict would be a welcome first step. This could complement already existing joint military planning processes. Future warfare will be increasingly blended with conventional and unconventional approaches. Military forces should strengthen their future unconventional warfare capability by acknowledging the changing character of warfare and the need to balance their forces as an effective strategy in an era of persistent conflict. The expedient, urgent and, at times, high-risk employment of Special Forces since 9/11 testifies to the need for a more astute approach to unconventional warfare campaigns that require long-term political commitments to military strategies that are credible and effective. A more balanced strategy for employing conventional forces as well as an enhanced whole of government effort including unconventional warfare capabilities does not represent an either/or approach to strategy, but rather presents itself as an affordable and/and approach. There is no question that military forces must retain their conventional warfare capabilities, especially in the maritime, land, and aerospace environments. They must, however, also strengthen their unconventional warfare concepts where asymmetric capabilities, to include space and cyber provide an increasingly vital component of national security. Throughout its history, unconventional warfare has at best been regarded as a secondary endeavour or a derivative of an organisationally preferred industrial force. This must change. Ian Langford is an Australian military officer and an Adjunct Lecturer with Charles Sturt University. The views expressed are the author’s and do not reflect the official position of the Australian Defence Force, Charles Sturt University, or the Australian Government.